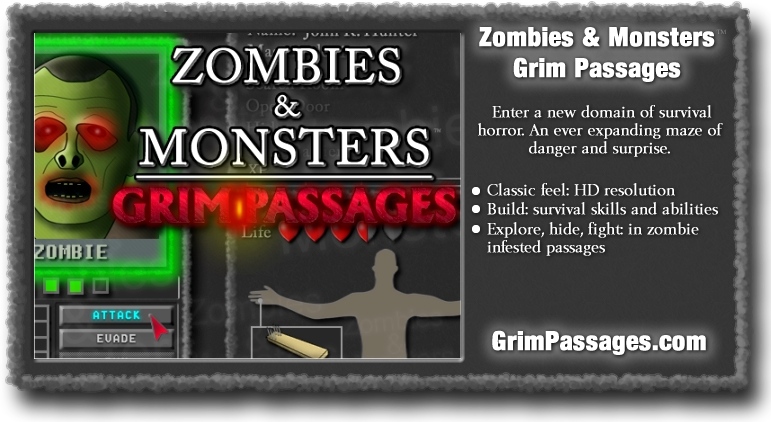 Screen shot of Grim Passages™ a survival horror adventure that introduces the Zombies & Monsters world and rules system. A survival horror game. You create a male or female survivor and attempt to survive and escape from an expanding domain of horrors. Will Grim Passages be free? A basic version of Grim Passages will be free. 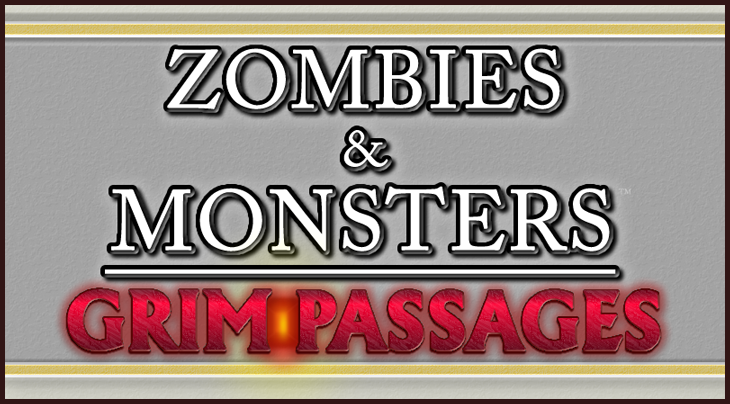 When will Zombies & Monsters: Grim Passages come out? TBA – check back for details about the Alpha release. ~ by gamemaster21st on September 24, 2011.